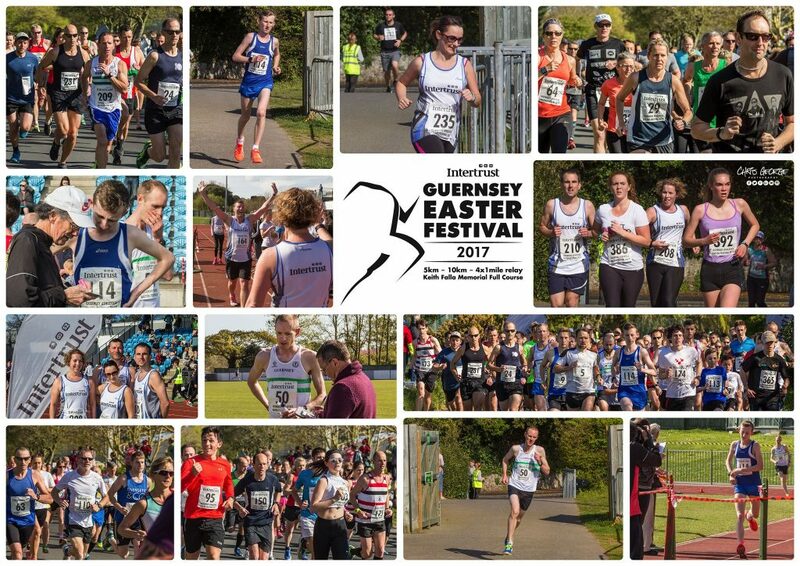 16 year old Jacob O’Hara ran a confident race to win the 5km opening event of the 2017 festival. Guernsey’s Carl Holden looked to be clawing him back in the closing stages but the Portsmouth youngster held on the break the tape in 15 minutes 56 seconds, just 5 seconds clear of the improving Holden with Guernsey middle distance specialist Richard Bartram running a personal best for a good third. (Image Chris George). First woman across the line was Louise Perrio who ran a personal road best to place 9th of the 205 starters in 16 minutes 48 seconds. 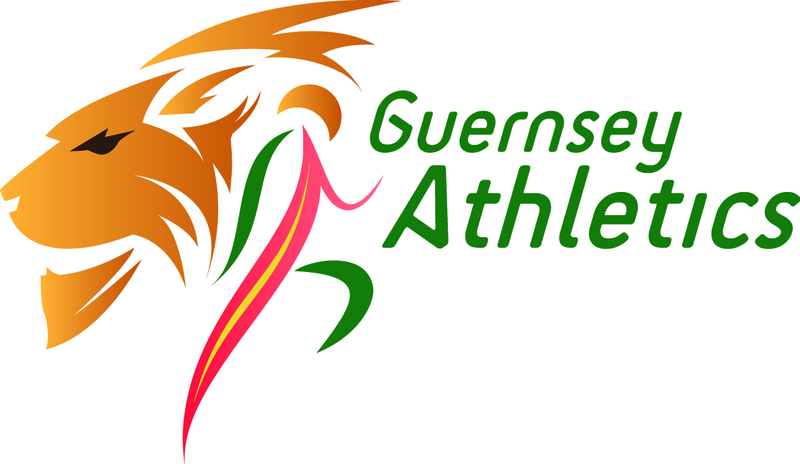 Guernsey runners Jenny James (18:18) and Laura McCarthy (18:38) ran strongly for second and third, fourth and first visiting woman was Aldershot teenager Masie Grice in 19 minutes 25 seconds. There was a large visiting contingent across the field including 80 year old Thomas Everitt of Eton Manor AC and Michael Ede of Cheltenham who was a runner in the very first 1982 festival. Prior to the adult event over 70 children took part in multi-terrain events within the Footes Lane grounds. There was a great race in the under 11s section as visiting runner Luke Holmes just held off Rupert Wilson. Luke’s parents and brother featured strongly in the adult 5km event.